If those two words make your heart skip a beat, then you are more than likely aware that everyone has their own opinion about what defines Power Pop. The fact is, they are all right. The pure, raw essence of Power Pop is in every band that anyone bothers to fit under this genre, whether other people agree or not. 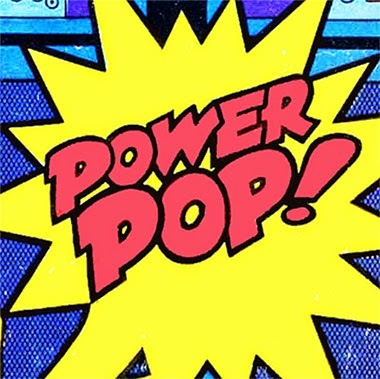 In all things Power Pop, you're going to get a 3 minute song - give or take 30 seconds - with a cracking tune, killer harmonies, joyful guitars, maybe some keyboards, energy and a chorus that you'll be humming mere seconds after the song has ended. More than likely, that song will be stuck in your head for the next 24 to 48 hours. Power Pop bands don't just write smashing melodies, they create universal ear worms that naturally fit anyone willing to listen. You can search all over the internet for Power Pop lists from respected experts. I agree with nearly everything I see on those lists. As I said before, the experts know what they are talking about. Some of these bands are not generally labelled Power Pop, while other might be some of the genre's most respected artists but I've chosen songs that don't always end up on the experts' 'best of' lists. And some may just be no-brainers but I chose to include them anyway. P.S. Yes, there are many bands and songs I've left out for now... gotta save some great ones for future posts! P.S. Most everything listed here is currently available and can be ordered/purchased at your favorite e-tailer/retailer. Happy shopping! There's nothing more invigorating than throwing on some classic Power Pop!